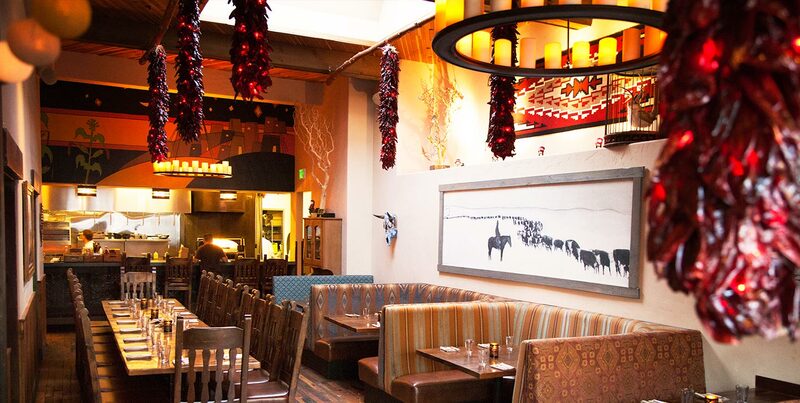 Enjoy brunch at Mason Pacific, a New American bistro along the Nob Hill cable car line. Elegantly decorated with tan leather banquettes and large windows that let in natural light, it’s the perfect setting for your first meal of the day. Start your meal with a hot cappuccino or a refreshing cold brew coffee. Then move on to gourmet-meets-healthy dishes like avocado toast with sesame and herbs, smoked trout with crispy potatoes and braised leeks, or a sourdough waffle with bacon and maple. The Filbert Steps, alongside a beautiful secret garden (you'll see it to your left on your way up), is a street made entirely of stairs. It's the most scenic and picturesque route to take to get to Coit Tower. On the way, you'll see a fantastic view of gardens, the city, and art deco buildings. Be sure to keep an eye out for the famous wild parrots of Telegraph Hill. San Francisco Chinatown is the largest Chinatown outside of Asia as well as the oldest Chinatown in North America. Despite that, it is still a small area of the city packed full of people many from families from the original immigrants who came over from China by the thousands to seek their fortune in the gold rush. They helped shape the San Francisco that exists today and it is a fascinating neighborhood to explore. There are many tea shops, bakeries, and places to pick up souvenirs. It's a fun place to explore and wander in and out of shops. Tip: Stop by the Golden Gate Fortune Cookie Factory, a tiny hole in the wall where you can see fortune cookies being made and score a free sample! One of the best things about Chinatown is a teahouse called Vital Tea Leaf, which has about 300 teas, including white, green, yellow, red and black, and a "try before you buy" model. It also has a resident character who introduces himself to all as Uncle Gee, who is 77, was "born in the ghetto" of Chinatown, and loves telling people what to drink based on their age, gender and state of health. Landmark bakery whipping up homemade fortune cookies in a small open kitchen. Stop by for a free tour! This small, informal restaurant in North Beach serves up innovative Asian-fusion fare using fresh local California ingredients. Well-known as one of the best Asian restaurants in SF. One of the only galleries open Mondays, Caldwell Snyder specializes in Contemporary American and European paintings, drawings, culture, and limited-edition prints. They're known for introducing new collectors to European and Latin American painters and sculptors who are well-known in their home countries, but rarely shown in the US. Check out their current exhibitions here, which include Greg Miller's fresh, neo-Pop paintings. Features contemporary art & photography by established and emerging artists across the globe. A classic spare, white gallery showcasing contemporary and surrealist art across a variety of media. Current exhibitions feature Tomokazu Matsuyama's new paintings and steel scuptures, and Yorgo Alexopoulos's hybrid sculptures that reference data servers and feature video screens. Here, you'll find several public gardens sharing space with dramatic outdoor public art pieces, including a memorial waterfall. The Mission District, or ‘The Mission' if you're a SF local, is San Francisco’s hippest neighborhood. There are great restaurants, underground music venues, countless third wave coffee shops, and murals tucked away at Clarion Alley. Dolores Park, the place to be on sunny San Francisco weekends, is situated next to famous Mission eateries like Tartine Bakery, Bi-Rite Market and Bi-Rite Creamery. Clarion Alley is a small street in San Francisco between Mission and Valencia known for the murals painted by the Clarion Alley Mural Project. If you appreciate good murals and meaningful messages this is the place for you. We won't spoil it for you so check it our for yourself. High style and high-end beverages come together at Wildhawk, a buzzy Mission-street bar by local cocktail heroes Jacques Bezuidenhout and Ken Luciano. Celebrating the flamboyant spirit of 19th-century femme fatale Lola Montez, the décor features curvaceous furniture, sensual textures, and emerald green accents, while the drinks menu focuses on vermouth, along with a good selection of other spirits, beer, and wine. If you’re hungry, they serve charcuterie and crudo by chef Howard Ko (of Balboa Café fame). Enjoy drinks at Marianne’s, an exclusive speakeasy-style bar that boasted a members-only policy until recently (located inside The Cavalier Restaurant). The bar offers two experiences: semi-private booths and a communal lounge area with shared seating. Both are great options when it comes to sipping cocktails that boast creative names and are made with the highest quality ingredients. Reserve in advance.